2014 Zero FX ZF 5.7. Picture credits - Zero. Submit more pictures. 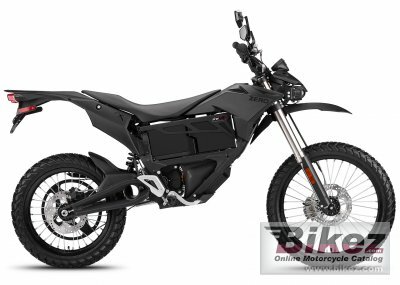 Tempting you to ride on any terrain that crosses your path, the Zero FX chassis hails from Zero Motorcycles� championship-winning off-road heritage and features the most advanced Z-Force� technology yet. Price as new (MSRP): US$ 11990. Prices depend on country, taxes, accessories, etc. Front suspension: 43 mm inverted forks with adjustable compression and rebound damping. Comments: Range up to 35 miles. 4.1 hour charging, 110 or 220 Volt. Lithium Ion 5.7 kWh battery. Ask questions Join the 14 Zero FX ZF 5.7 discussion group or the general Zero discussion group.